In my last post, I wrote about a summer of travel with the JPNY Tanker Backpack. As amazing as the pack was, it was one of three superstar bags that I took. One of its co-stars in another lead role was my Builford Duffle Bag. You might have read previously about this waxed canvas travel duffle. I’ve had the duffle for quite a few years now and use it frequently for my intermediate-time trips. In other words, if I’m off for between a few weeks to a couple months, I use the Builford duffle bag. I’ve thought a few times about transferring to a rolling suitcase. Sometimes I think it would be easier to carry. However, I never get around to it because at the end of the day, the duffle is easy and convenient. I don’t carry it enough to make a big difference. The Builford duffle bag comes with a fabric separator inside, but it’s easily removable with velcro and I usually keep it out. I find things stay organized even without it. 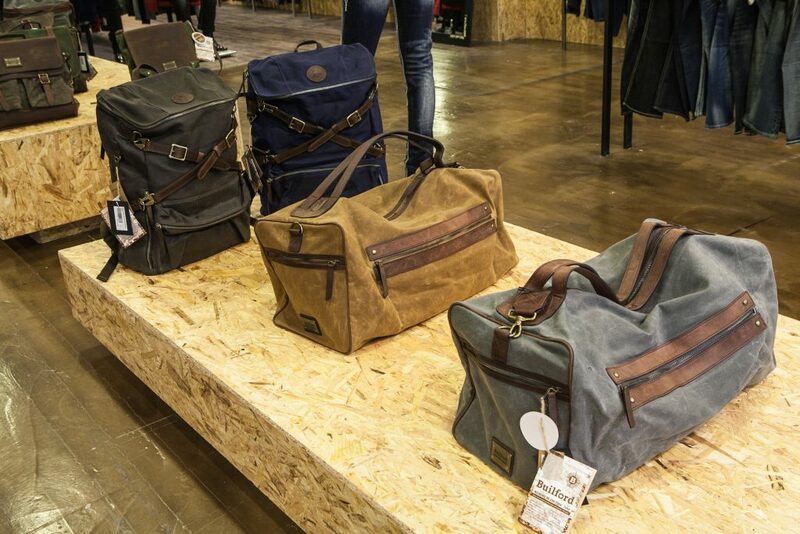 Some Builford bags have a lighter and more pliable waxed canvas, but this one is a bit more heavy duty. I’ve checked it in several times and it always comes back no worse for the wear – and not squashed, either! The end pockets are surprisingly roomy and I use them for delicates or toiletries. The front pockets are great for chargers or shoes (or both). I keep valuables, important documents, and extra cash in the hidden zippered pocket inside after I’m settled in my destination. I admit that I’m a light packer – the duffle bag won’t work for two months’ travel for everyone! But I found it was more than enough. I had summer clothes for Paris, rehearsal clothes for Burkina Faso, a few nice items and pieces for performances, and an extra pair of shoes. Of course there are more bits and pieces that come with! I’m always finding new spaces in the Builford duffle bag. Along the way between countries, I found space for a bag of coffee and fabric from Africa for gifts. I’ve never had to struggle to figure out how to fit everything (which I always seem to do with my suitcases). Indeed, even though I filled it for this trip, there were a few things I could have left behind! Like with the Tanker Backpack, I have no photographs of my duffle on the trail with me. In fairness, I have very few photos of the trail as well! But you can check out the full specs of the duffle on the Builford website. For light packers, short trips, road trips, and beyond, I’d highly recommend the Builford duffle. It’s heavy duty, hard-working. It works as a carry-on or a check-in bag, and it has a ton of space to play with. I’ll be using it for years and years to come! Share the post "Around the World Part 2: Builford Duffle Bag"
Posted in Blog, Travel and tagged Builford Duffle Bag, duffle bag, summer travel, travel bag, travel duffle bag, waxed canvas bags, waxed canvas travel bags. Bookmark the permalink.